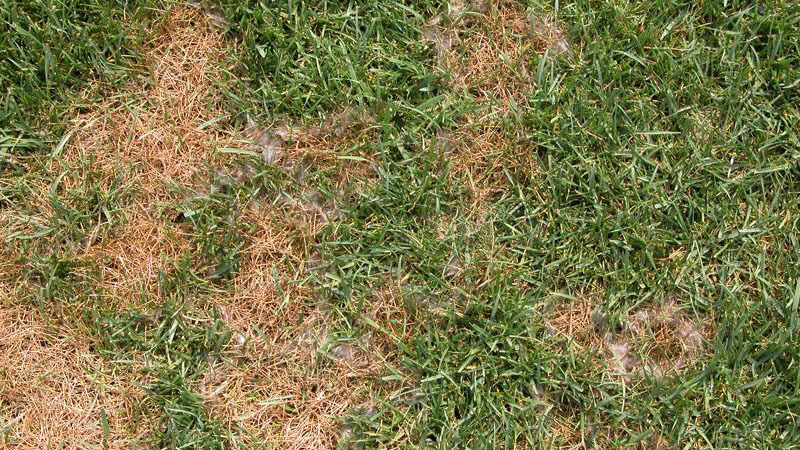 In cool-season turf, Pythium blight first appears as small, sunken, circular patches up to 1 foot in diameter during hot, humid weather. 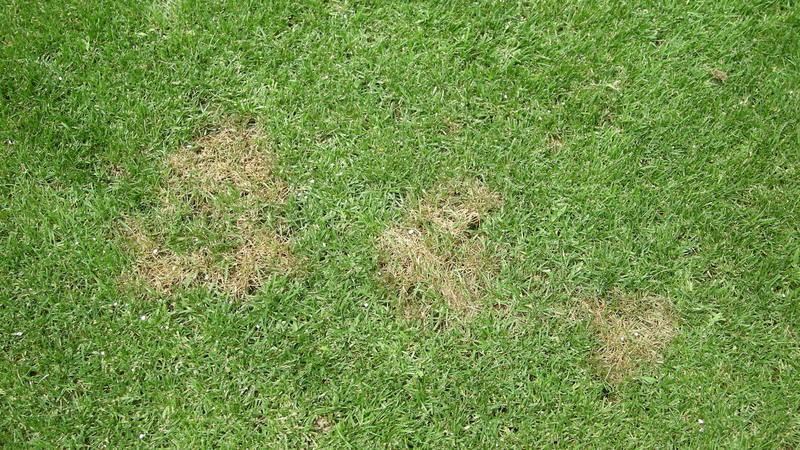 In warm-season turf such as bermudagrass putting greens, Pythium blight first appears as small black or purple spots that can expand into larger irregular areas, especially during prolonged periods of humid, rainy, and/or cloudy weather anytime of the year. 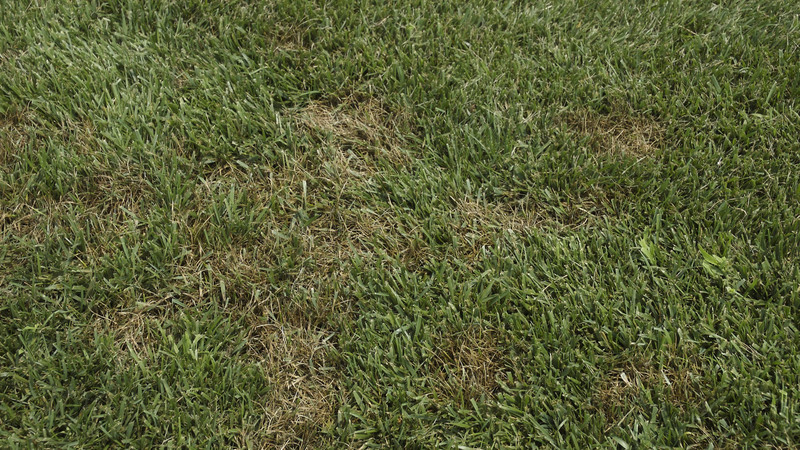 These symptoms can easily be mistaken for leaf spot, so be certain you obtain an accurate diagnosis. Leaves within affected areas are matted, orange or dark gray in color, and greasy in appearance. 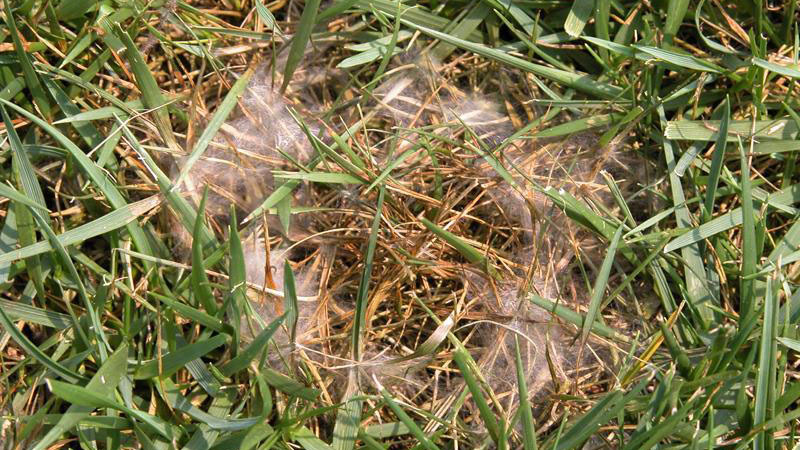 Gray, cottony mycelium may be seen in the infected areas when the leaves are wet or humidity is high. The disease spreads rapidly along drainage patterns and can be tracked by equipment. 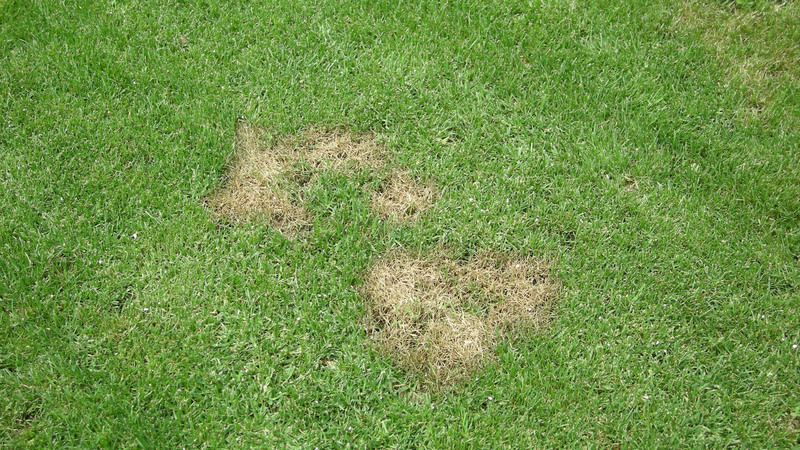 This disease can cause widespread damage to a turf stand very quickly when conditions are favorable for development. 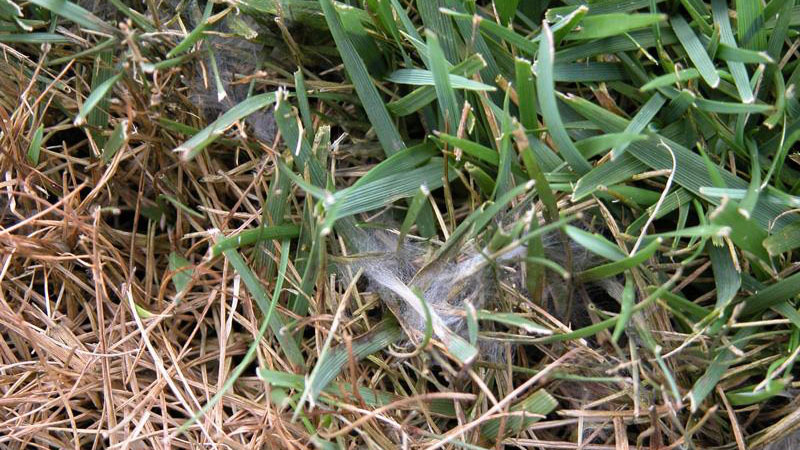 Pythium blight may develop when night temperatures exceed 65°F in cool-season turf (50°F for warm-season turf) and leaves are continually wet for 12 to 14 hours for several consecutive nights. 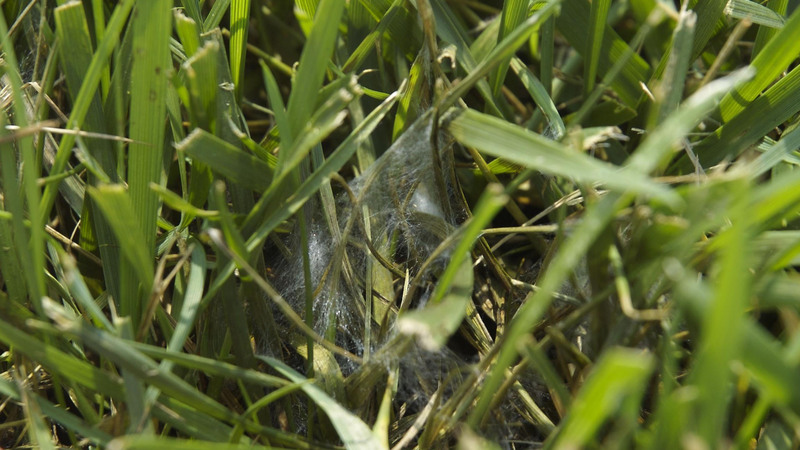 For this reason, severe Pythium blight epidemics in cool-season turf are commonly observed the morning after a late afternoon or early evening thunderstorm in the summer. Daytime temperatures above 85°F also encourage Pythium blight development in cool-season turf, possibly due to increased stress. Excessive soil moisture and succulent foliar growth also favor disease development. 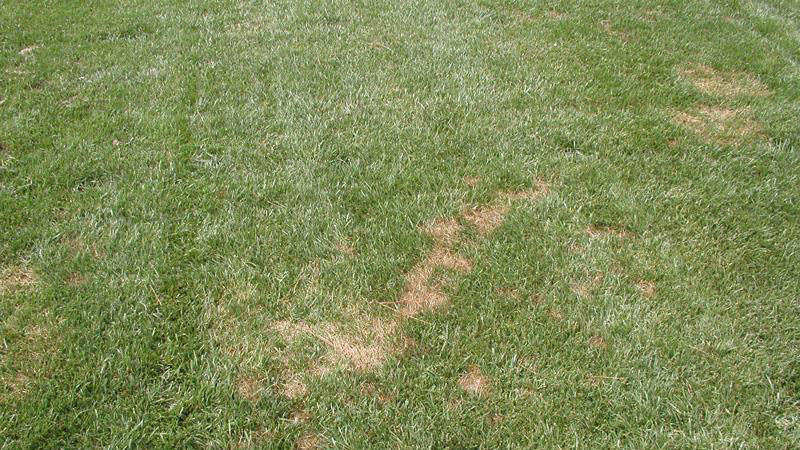 Perennial ryegrass and annual bluegrass are most prone to Pythium blight and can sustain significant damage in 2 to 3 days when conditions are favorable. 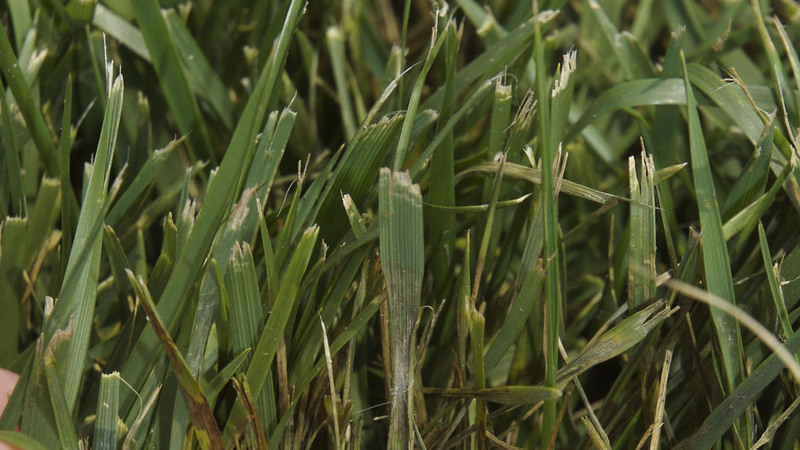 Creeping bentgrass and tall fescue are more resistant to the disease, but can be severely affected if conditions are conducive for prolonged periods. 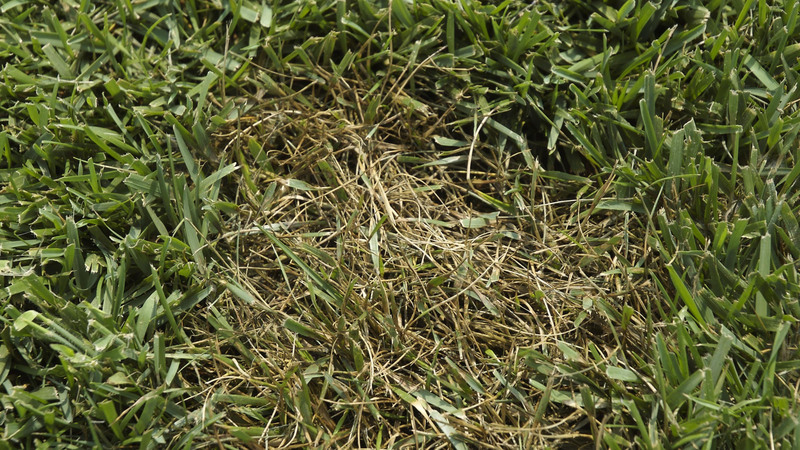 Bermudagrass putting greens are susceptible to Pythium blight during extended periods of humid, rainy, and or cloudy weather most anytime of the year when temperatures are above 50°F. Reduce prolonged leaf wetness by watering in the early morning hours, before sunrise. Use the Turf Irrigation Management System available on TurfFiles to schedule irrigation based on weather conditions and turf needs. Avoid excessive rates of nitrogen to prevent lush, succulent foliar growth, which is very susceptible to Pythium blight. Cool-season turfgrasses should not be fertilized with more than 0.25 lb N per 1000 square ft when conditions favor Pythium blight activity. Avoid establishing turf in low-lying areas that will collect water. If necessary, install subsurface drainage to prevent wet soil conditions. Relieve compaction and maintain soil drainage through hollow tine aerification, and topdress golf course putting greens regularly to minimize thatch accumulations. 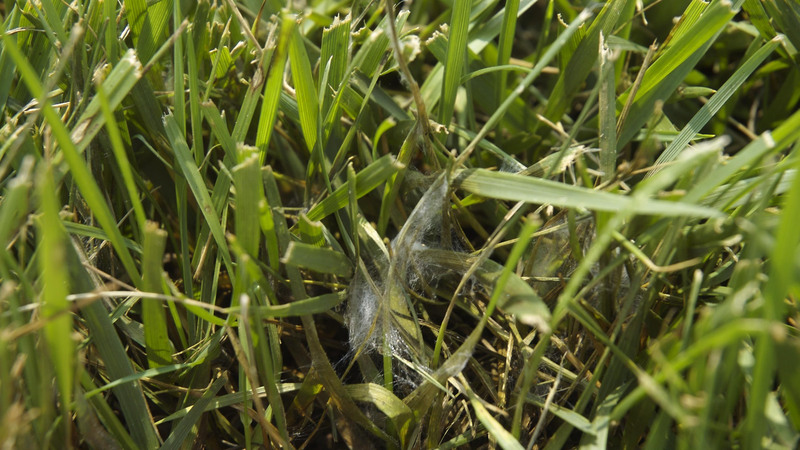 Do not mow or irrigate when Pythium mycelium is present on the foliage to minimize spread of the pathogen. Collect and promptly dispose of clippings from infected areas and ensure that mowing equipment is washed before going to an uninfected area. 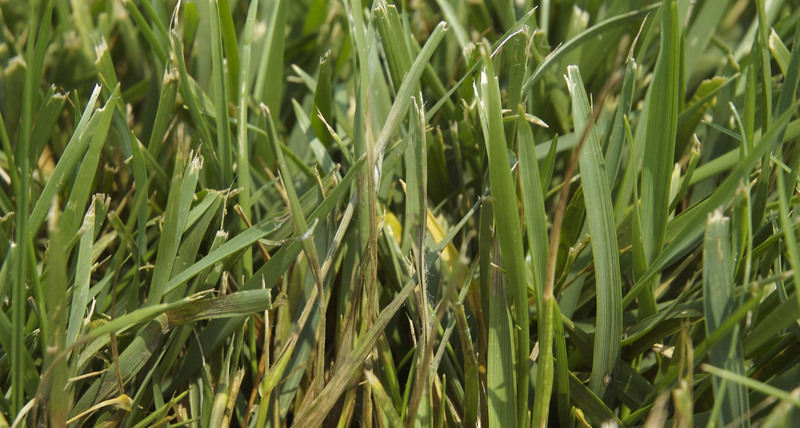 Due to the potential for rapid development of this disease, high value areas and susceptible grasses should be protected with a preventive fungicide program. Applications should be initiated when night temperatures consistently exceed 65°F for cool-season turf (50°F for warm-season turf) and repeated on 14 to 21 day intervals as directed on the fungicide label when conditions are favorable for Pythium blight development. Figure 1. Pythium blight foliar stand symptoms. Figure 2. 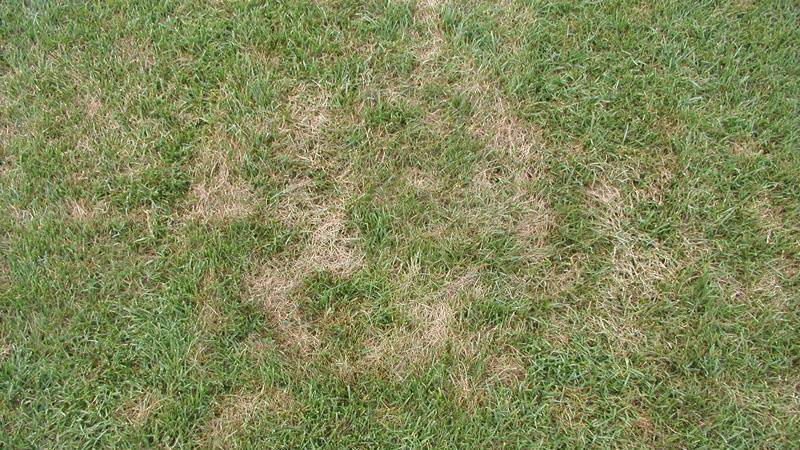 Pythium blight stand symptoms. Figure 3. Pythium blight stand symptoms. Figure 4. 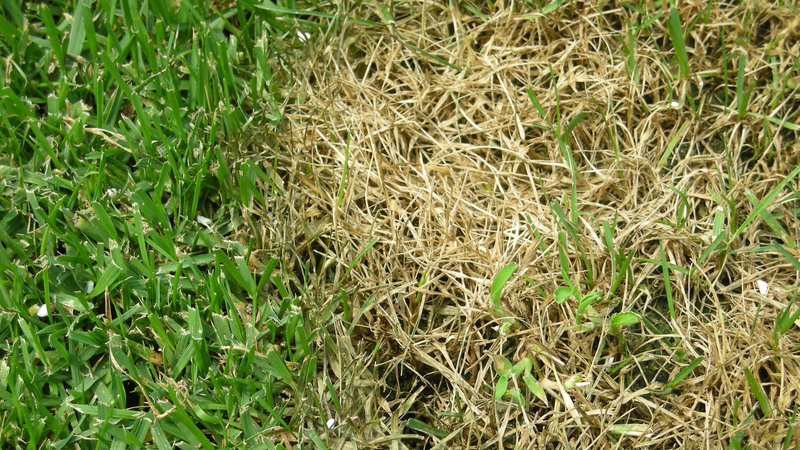 Pythium blight stand symptoms. Figure 5. Pythium blight stand symptoms. Figure 6. 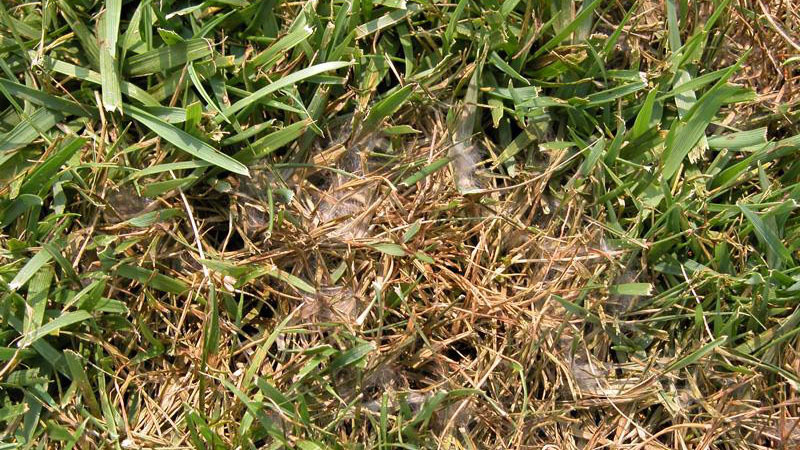 Pythium blight stand symptoms. Figure 7. 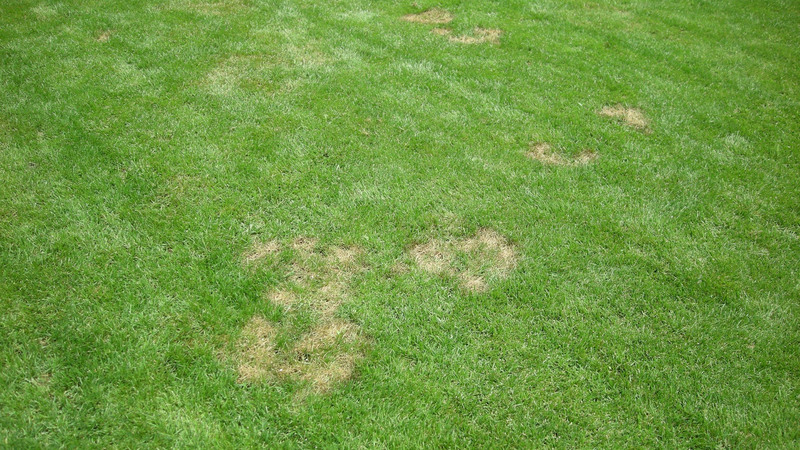 Pythium blight stand symptoms. Figure 8. 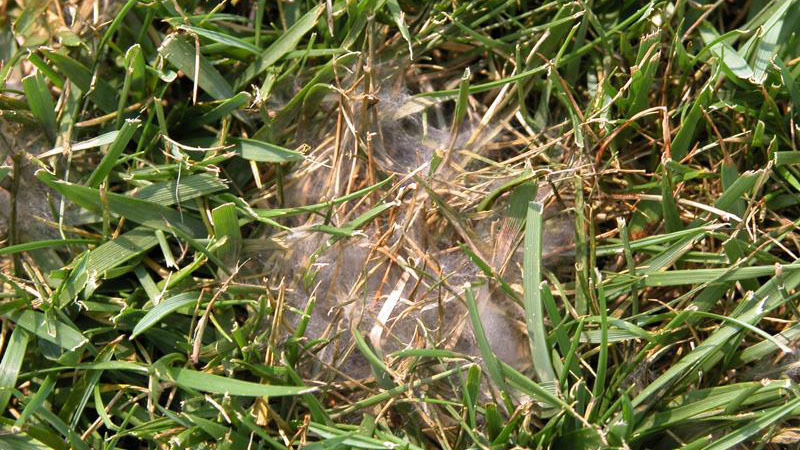 Pythium blight stand symptoms. Figure 9. 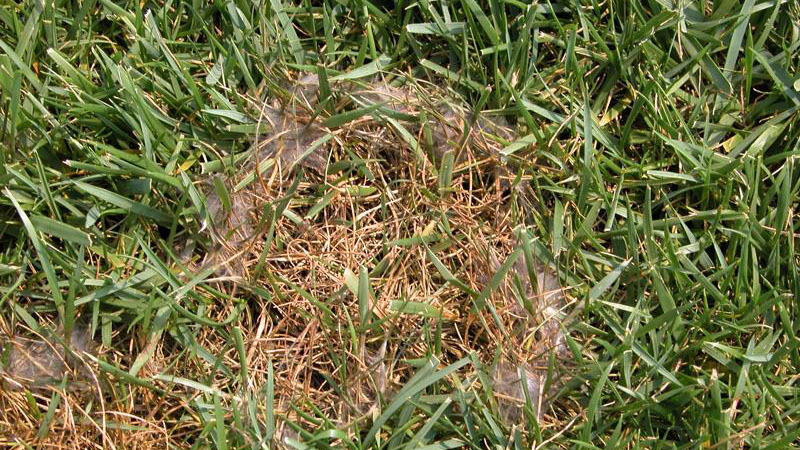 Pythium blight stand symptoms. Figure 10. 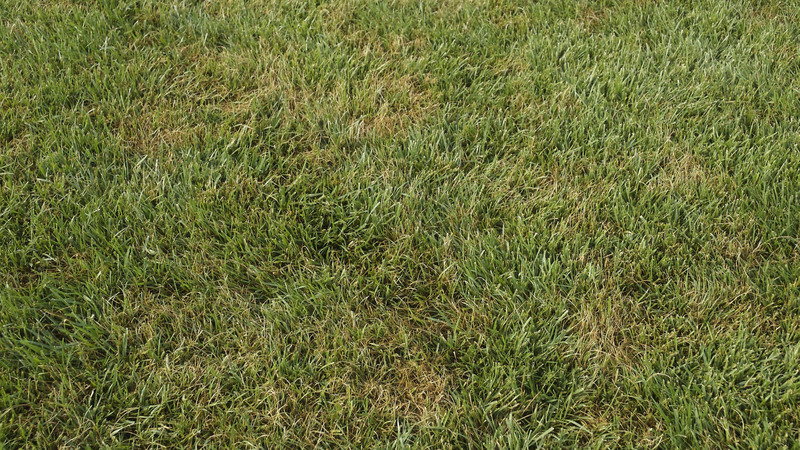 Pythium blight stand symptoms. Figure 11. 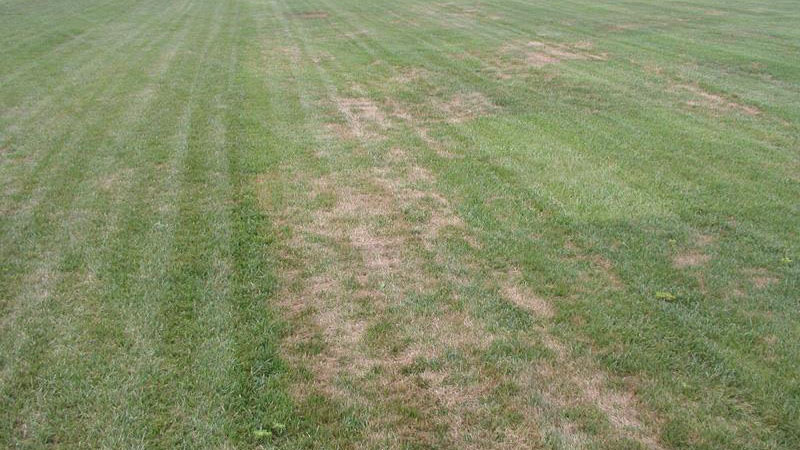 Pythium blight stand symptoms. Figure 12. 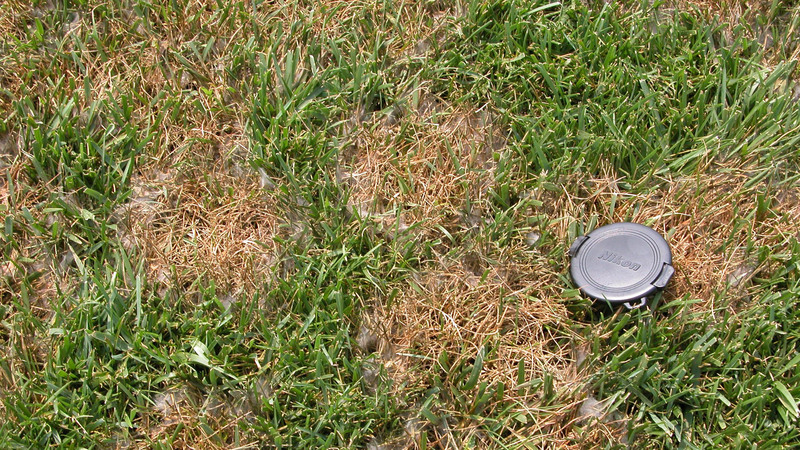 Pythium blight stand symptoms. Figure 13. 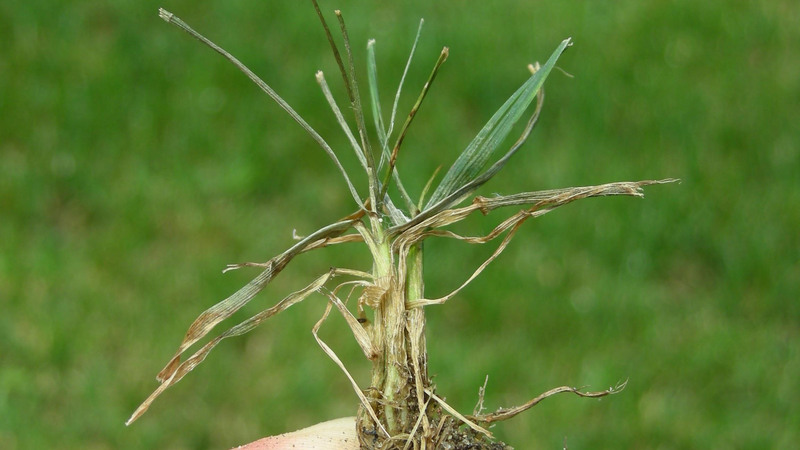 Pythium blight stand symptoms. Figure 14. 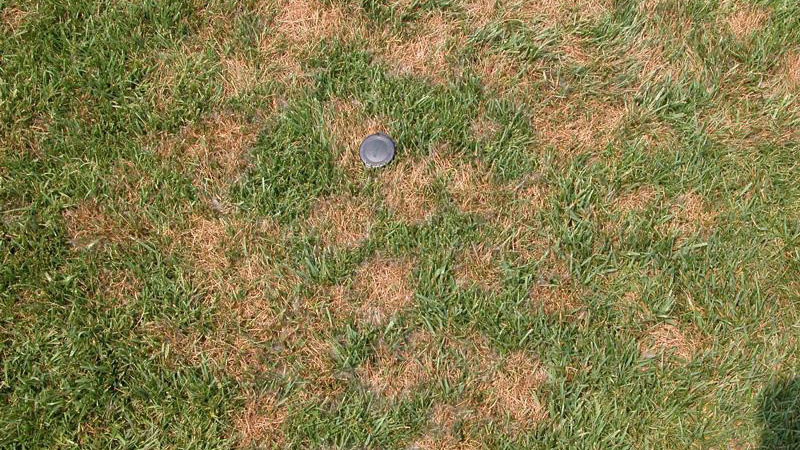 Pythium blight stand symptoms. Figure 15. 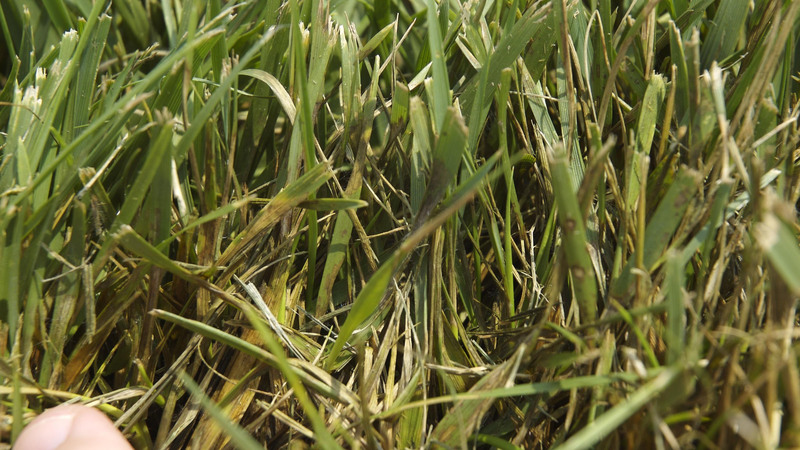 Pythium blight stand symptoms. Figure 16. Pythium blight stand symptoms. Figure 17. 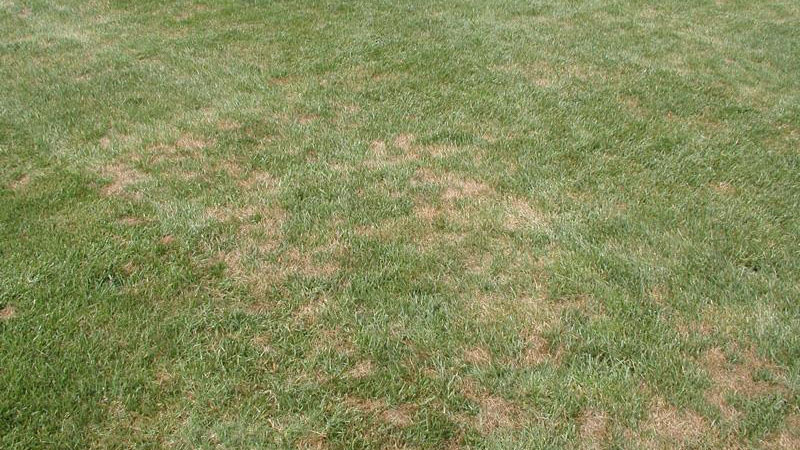 Pythium blight stand symptoms. Figure 18. Pythium blight stand symptoms. Figure 19. Pythium blight stand symptoms. Figure 20. Pythium blight stand symptoms. Figure 21. Pythium blight stand symptoms. Figure 22. Pythium blight stand symptoms. Figure 23. Pythium blight stand symptoms. Figure 24. Pythium blight stand symptoms. Figure 25. Pythium blight stand symptoms. Figure 26. 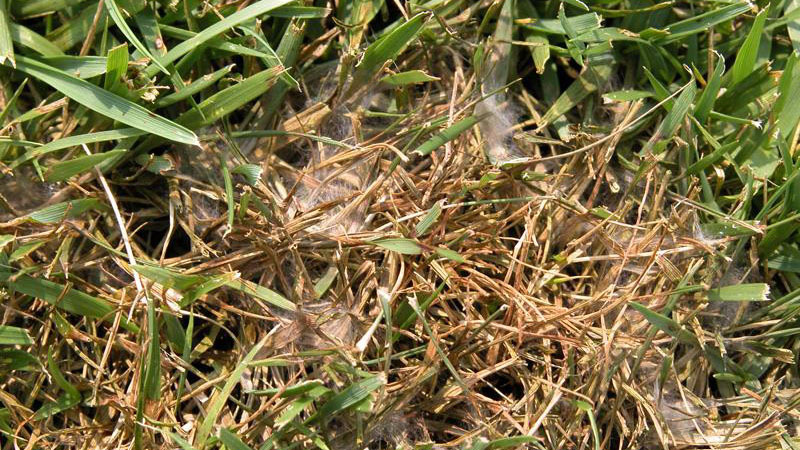 Pythium blight stand symptoms.